Broadwindsor Jubilee Group said a big ‘thank you’ to locals who helped with the village fun day in June by holding a barbecue party on Bernards’ Place in the middle of the village. 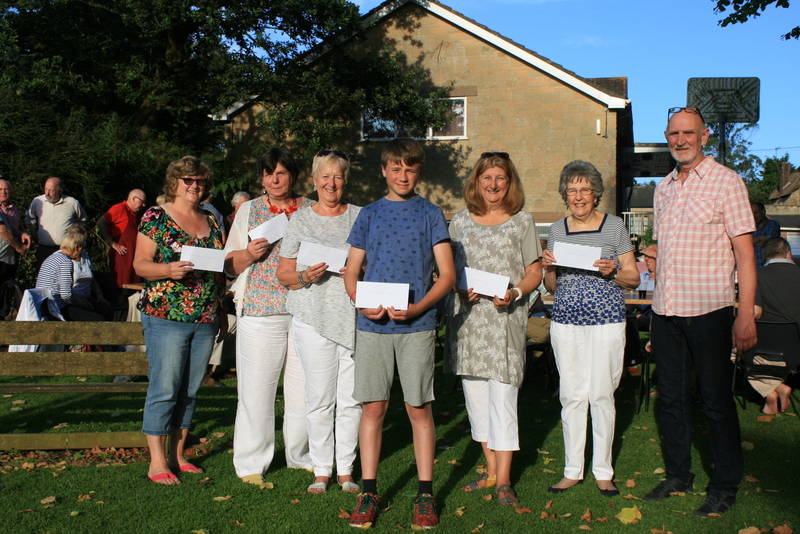 Cheques were handed out to various good causes from the proceeds of the fun day and other events held by the group during the year. The Over 60s received £300 to pay for their Christmas meal, the church was awarded £250, the community sports field was given £100 and the WI, Fullers social club and Beaminster Royal British Legion each received £50. A pledge of £500 has also been made to Broadwindsor Comrades Hall for a new sound system. Rita Haggett, Broadwindsor Over 60s; Brenda Smith, Broadwindsor WI; Ryan Leader, Broadwindsor Community Sports Field; Megan Jones, Broadwindsor Church; Denny Hughes, Fullers, and Alan Bunch, chairman Broadwindsor Jubilee Group.